By proactively making your bank youth-friendly, you will be regarded as their trusted partner in the future instead of merely being something they have to deal with. But before we get into that, let's first get on the same page. People from Generation Z are often characterized as those who were born from around mid-1990s until present. They grew up through the insecurity brought by the 9/11 attacks and have lived through the recent Financial Crisis. From the time they started to enter the workforce, they will encounter a world with more financial insecurity, expensive university degrees, failing social security and lower job security. They may just be teenagers today, but eventually, they will be valuable and active members of the economy. But to be able to attract young people to banks, they need to change their image from being "institutional" and "aloof" and take part in the drive towards becoming more friendly and accessible. 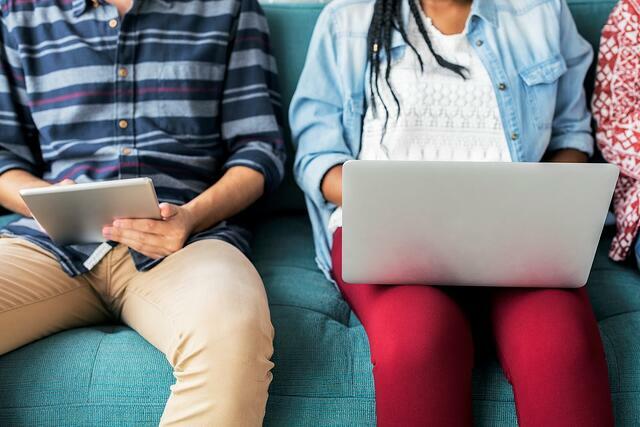 To succeed in a market that will be dominated by Millennials and Gen Z-ers, your organization will need to be more "sociable" and seen as approachable. As digital natives, you have to go in deep and meet your potential customers where they are - in cyberspace. Gaining consciousness just at the time the Financial Crisis struck and seeing the effects of the economic downturn everywhere loss of jobs and homes and college degrees hanging in the balance makes money a prime concern for our Generation Z bank customers. Banks and other financial institutions have the unique opportunity to help reach out and be seen as a "partner" to help them navigate through the financial woes. By catering to the Gen Y and Z who are more technology-proficient than their predecessors, this will drive your organization to keep abreast with the latest technological developments. Millennials and those from Generation Z are the first to grow up with various advanced technologies readily available and are regularly used in daily life. This is a particularly important benefit especially if you consider that it takes time for financial institutions to adopt the latest technologies. As of 2015, Gen Z effectively formed the largest portion of US population at 26%, edging out the millennials. They are also estimated to have an annual spend worth of US$44 billion. This trend is also reflected generally across the world which means that eventually, Generation Y and Z will be a market that cannot be ignored as they become full members of society, if they haven't already. I hope you’ve understood the main reasons to attract young people to banks. It's always best to keep up with the times and targeting a younger, more technologically-savvy demographic can bring many benefits for your bank such as an active drive for innovation, the "humanization" of banking procedures and operations and the goodwill of a growing market.